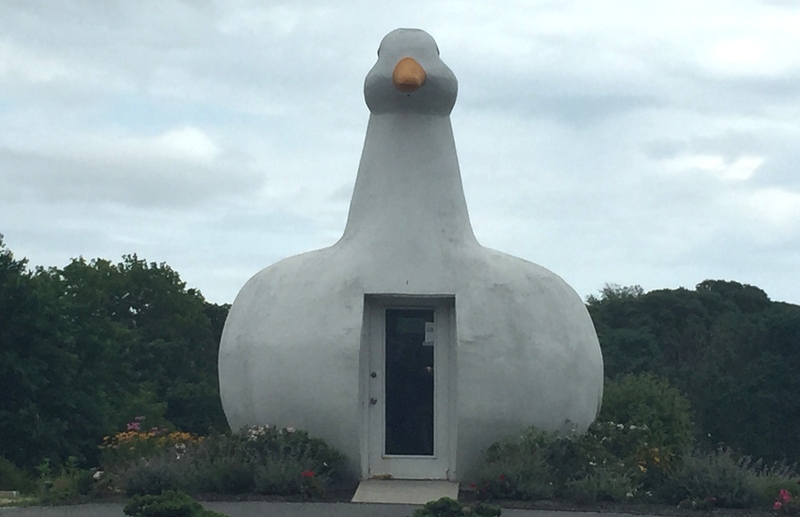 North Fork dwellers and anyone who has driven on Route 24 in Flanders have seen the colossal white duck. It sneaks up on you, nestled on the quiet road between trees and surrounded by parkland, but you can’t miss it. Mainly a gift shop that sells duck-themed items and tourist center on the East End, the Big Duck landed on the National Register of Historic Places in 1997. It’s tall but well deserved praise for the beloved Flanders landmark. Don’t believe me? Here are five things you may not know about the roadside shop. Martin Mauer and his wife, Jeule, had the shop constructed in 1931 on Maine Street in Riverhead and sold peking ducks out of it for five years. They relocated, Big Duck and all, in 1937, four miles southeast to Route 24 in Flanders, which was the center of Long Island’s duck-farming industry. 1931-1951: Martin R. Maurer Sr. 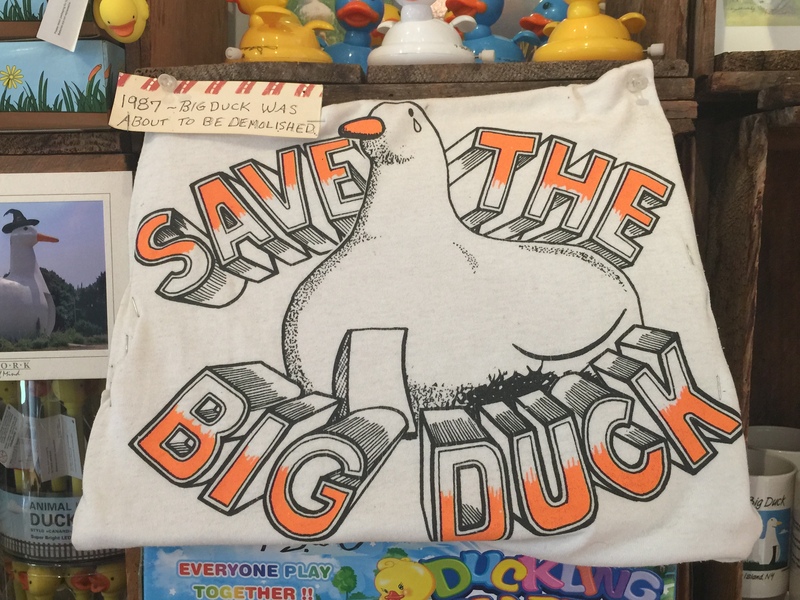 When the Big Duck’s nesting ground was earmarked for development in 1987 Friends for Long Island’s Heritage and its other fans came together in an effort to save it. The owners at the time, Kia and Pouran Eshghi, donated The Big Duck to Suffolk County in December of 1987. In 1988, the county moved it from Flanders to Hampton Bays at the entrance of Sears-Bellow Park, still on Route 24. In 2007, the Big Duck returned to Flanders when it became clear that the original land would not be developed. The Big Duck inspired an architectural term. Coined by architects Robert Venturi and Denise Scot Brown in 1968, a “duck” building is one that has an unusual shape that represents products or services available within, like the Big Golden Guitar in Australia. The building stands 30 feet tall and is 18 feet wide. Inside, it’s 11×15 feet. The Big Duck gets into the holiday spirit. 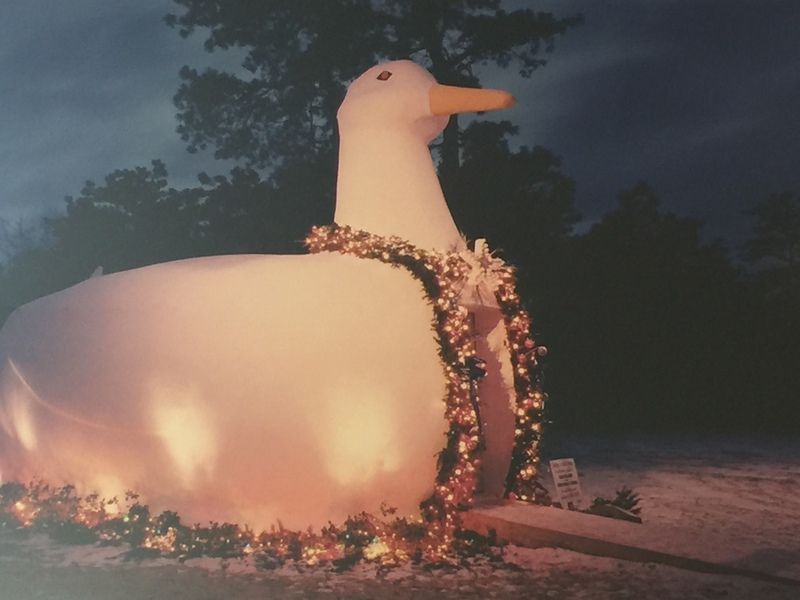 Each year at Christmastime, the Suffolk County Parks Department sponsors the Annual Holiday Lighting of the Big Duck, which is way cooler than your typical tree lighting because well, it involves a duck-shaped store. Visitors join local school children in signing duck carols, and Santa Claus Flanders Fire Department chauffeurs Santa in on a truck.